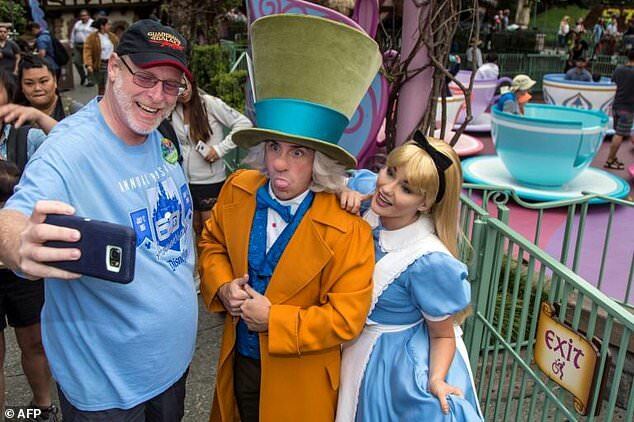 Disney is used to adoring fans but one man has topped them all, visiting its California theme park 2,000 days in a row. Jeff Reitz marked the milestone on Thursday, using his Disneyland Resort annual pass which has enabled his trek to the Anaheim, Californina park on a daily basis since January 1, 2012. Reitz, a 44-year-old Air Force veteran, was unemployed when he began making the daily trek to boost his spirits, and now fits in his weekday visits after work hours because he has a job at the Department of Veterans' Affairs. 'It was something to do to keep things fun,' Reitz told the Orange County Register.